We can't control politicians, Facebook commenters, our friends, or our family. We can only control ourselves. And actions speak louder than words. Are we, as Christians, shedding light or heat, creating heaven or hell on earth? You want peace? Initiate it. Call up your dad right now and tell him you love him and hate the tense situation between you two. Tell him you miss him and that his grandkids miss him and you want him over for dinner. Just dinner. No ulterior motives like trying to “change his mind about Trump.” Just dinner. Really good advice from Katrina Fernandez in response to a letter from a divided family. Be sure to read the whole thing. If they can follow that advice it will be like a little bit of heaven on earth. There is so much that divides us, makes us angry, makes us fear, makes us treat each other as less than human. To celebrate what unites us is truly heavenly. Here's how naive I am. I thought that posting this sensible advice on Facebook would be welcome. People would be happy for this little reminder of the important things in life. Instead comments became a one-note judgment of people who support a "hate talker" like Donald Trump. If that meant cutting off family or friends, well, they earned it. I was truly stunned at this response. In vain did I quote Jesus on judging your brother. I'm just sayin' - we all have faults and there is no perfect candidate or party. The advice does say to eschew political talk so this was just about tolerating the presence of the person, not their political views. Worst of all, to me, was watching people assume a candidate was supported only because of the lowest common denominator. Because this person saw Trump as promoting hate, she assumed that everyone supporting him is tolerant of hate speech. That assumption resulted in her endorsement of summary judgment and shunning of anyone who didn't agree. That's equivalent to saying that the only reason women support Hillary is because they want to see a woman become president. Girl power, yeah! I've actually been told that. And they'll all fight to the death to prove themselves right. This is such a temptation that the author of that very good advice couldn't resist stopping by for a few political statements. Which served to rile up everything again. Eventually I removed the post from Facebook. Both sides want to make the world a better place, dare I say a "heaven on earth," but this is about as opposite as you can get. Welcome to hell, people. None of us are immune. 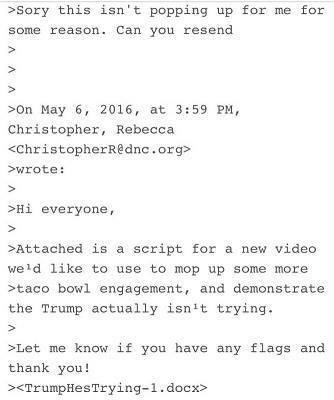 I discovered I'm just as bad thanks to the Democratic "taco bowl" email. This looks incredibly racist and many have jumped on it as such. To my great shame, I myself really enjoyed the idea of how the "no tolerance" for Trump supporters person would react to this news. However, it turns out we probably don't have the proper context. 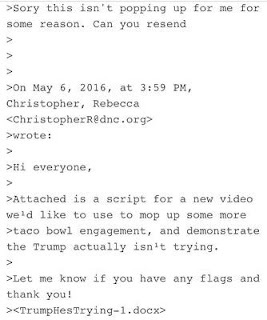 Donald Trump posed with a taco bowl on Cinco de Mayo — the day before that email was dated. So the "taco bowl" comment probably was about trying to get Latino votes through the Trump photo. Context is everything. I sure am glad I didn't give into that literally unholy desire to one-up someone for a cheap victory. I don't want to add to the ugliness of the world or to my own soul. Few things are as simple as one thinks. People are complex. Their reasons for voting are likely based on something you don't have any notion about, especially if they are voting for someone you dislike. These days, we don't have a culture any more of keeping our mouths shut if we disagree with each other. And it's not enough to simply state one's view. We keep pounding away until everyone agrees with us. And the other side pounds back. That's a never ending cycle. 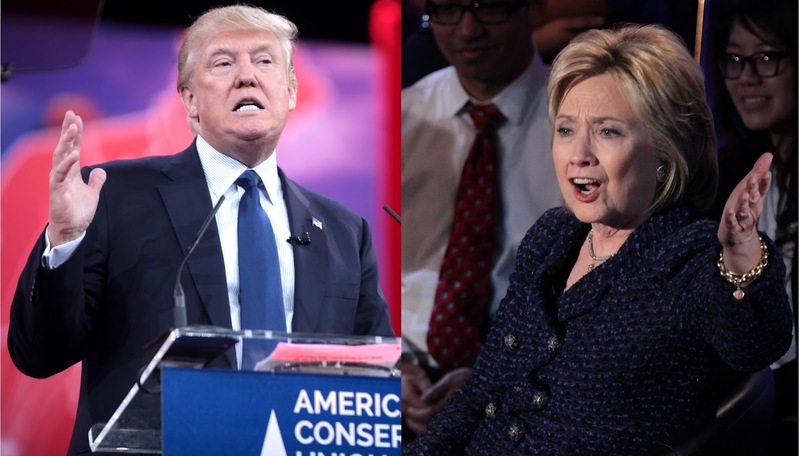 Let's look at this political season as a chance to relearn a little discipline. And maybe create a little heaven on earth. Family and friends are forever. What are our actions saying to those around us? What does it say about us to advocate the rightness of a political party while casting off family and friends? Especially what does it say about those of us who are Christians? Are we following in the footsteps of our Lord who ate with sinners? There is no heaven on earth without human contact and connection. What sort of place will we create with our actions? I don't disagree with you about silence and politics; I think there is far too much heat being added and too much focus on "gotcha-ing." I would love to see you more deeply address the question of "family and friends are forever." I think we agree that it's not inappropriate to limit contact or step away from family members when there is abuse. But when is it okay to decide a friendship has run its course? I would hope that friends would have shared values, to some degree at least. And how do you balance wanting to be close with family when their values are not just the same as yours but counter to them? For example, family members who trumpet that they nearly aborted their daughter and are vehemently and vocally anti-religion. Let me ponder this and I will respond. Because those are real life scenarios that face us all the time.